Dental Creations in Mumbai, India is a new age dental practice that combines Indian hospitality with the most up-to-date cosmetic dental treatments and technology. Led by Dr Amol Pradhan, the highly qualified, English-speaking team follows a holistic approach to dentistry designed to restore general health and well-being rather than treating a dental problem in isolation. Treatments available include dental implants, dental crowns, porcelain veneers, smile design and full mouth restoration, as well as a comprehensive range of general dentistry services for adults and children. DK Hair Klinik in Antalya, Turkey is a well-established dermatology clinic specialising in FUE hair transplant and aesthetic procedures. The expert team comprises a leading cosmetic dermatologist, a physician specialising in hair transplant and experienced nurses, all of whom are approved by the International Society of Hair Restoration (ISHRS). Dr. Motiwala Dental Clinic & Implant Center: cosmetic dentistry in India, offering a full range of dental treatments including dental implants, porcelain veneers (IPS and Emax), dental crowns (Zirconia, Procera), dental bridges, and orthodontics. Dr Serkhan Ayhan is a highly experienced general surgeon specialising in obesity surgery , metabolic surgery (anti-diabetes type II surgery) and acid reflux surgery. Working with A grade private hospitals in Istanbul, Izmir and Tekirdag , he offers a personalised and supportive service for international patients seeking effective weight loss solutions and relief from gastroesophageal reflux disease (GERD) in Turkey. 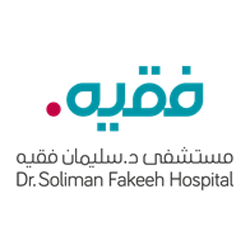 Dr Soliman Fakeeh Hospital is a leading facility which has been recognised as a pioneer due in the medical sector and has been accredited nationally and internationally as a result of the ground-breaking research they have carried out at the hospital.